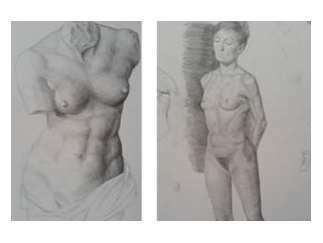 In this two-day workshop, students will be introduced to several different techniques for depicting the human body in their own style using dry media. Working with a live model, students will learn model etiquette for artists, how to approach drawing from a model, how to handle longer and shorter poses and more. Registration includes drawing materials and model fees. Norris coordinates SLOMA's weekly Life Drawing sessions. Meets April 13 and 14. Call 805-543-8562 to register over the phone.